Superior Electirc PCW06 6" White Compounding Pad 5/8"-11 UNC Thread. A dense, firm sponge for compounding paint systems, excellent results with all leading makes of compound and polish. Also for polishing automotive paintwork, acrylic, marine and aerospace finishes. A range of professional polishing foams for use with all makes of power tools. Offers a completesurface finishing solution. All pads are 150mm diameter x 50mm deep. Excellent results with all leading makes of compound and polish. Very firm material, ideal for all modern paints including LVHM. 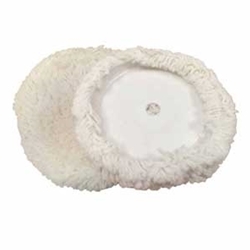 Superior Electric PBW08 8" Wool Buffing Pad. Aggressive cutting action without leaving typically difficult swirl marks. 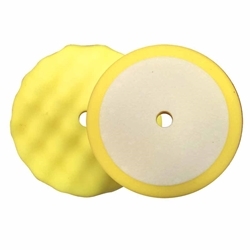 Superior Electric PCY08 8" Buffing Foam Pad for Compounding (Yellow). High Performance Single Sided Foam Compounding Pad. Removes finishing abrasive sand scratches and other paint surface defects. Great for scratch removal, sand scratch removal, medium paint finishes and many more. Best suited for entry level technicians and consumers. 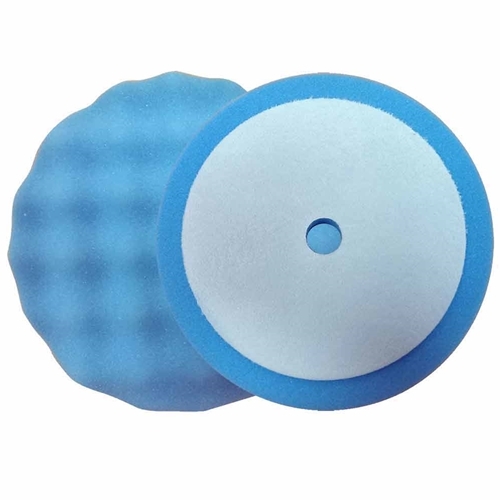 Superior Electric PPB08 8" Buffing Foam Pad for Polishing (Blue). High Performance Single Sided Foam Compounding Pad. Removes finishing abrasive sand scratches and other paint surface defects. Great for swirl mark removal, refining compund scratches and scratch removal. Polishing and ultrafine polishing for a great finish. 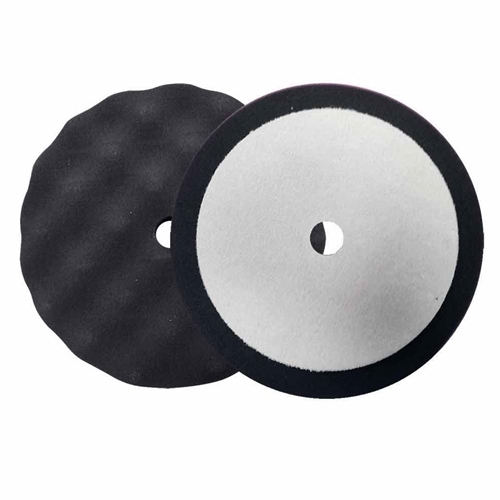 Superior Electric PFB08 8" Buffing Foam Pad for Finishing (Black). High Performance Double Sided Foam Compounding Pad. Refines P1200 or finer sand scratches. Removes finishing abrasive sand scratches and other paint surface defects.